Life insurance is one of the most preferred investment tools for working professionals in India. This is mainly because of the fact that life insurance products provide security along with investment returns. Except for term insurance covers, almost all life insurance products including endowment plans, ULIPs, retirement plans, child plans, money-back plans, etc., provide maturity returns. 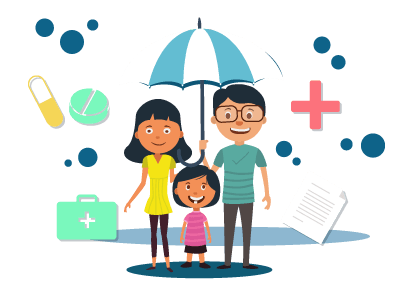 Reliance Nippon Life Insurance, one of the major private players in the life insurance industry, offers a variety of life insurance plans for its customers. While comparing these plans, potential customers can calculate their returns using the premium calculators and plan their investments accordingly. There are different variants of investment-oriented life insurance plans available in the market right now. Depending upon their specific investment goals, individuals can choose plans and start with their investments. With the right insurance plan, customers can ensure that their financial goals are met while also securing the interests of their family members. To determine the right amount of investment, people must know how much they are likely to get in return at the end of the policy term. Premium calculators help customers know this information by providing them with the calculation of how much they can earn from a policy. This will help them choose the right sum assured amount they need to achieve their financial goals. On the homepage, click on the specific plan in which you want to invest by opening the ‘life insurance plans’ drop-down menu. On the plan page, click on the calculator symbol located on to top right corner of the page. This will open the premium calculator page for that specific plan. On the resulting page, enter various details like name, gender, date of birth, policy term, premium paying term, sum assured amount, etc. Click on ‘calculate’ to know the exact amount you have to invest every year to get the desired sum assured amount on maturity. It is also better to read the product brochure to check the different types of bonuses available for your policy. Most of the investment-oriented life insurance plans are intended for specific goals. Hence, it is essential to know how much money you get in return for your investments. Premium calculators are extremely helpful in providing this information. When you compare different products in the market, you are likely to choose a plan based on the returns provided. By calculating the potential returns, you can understand how much you are willing to invest in a plan. This will help you compare policies better and help you find the right product. By using premium calculators, customers can understand various life insurance products in a better way. They can determine the right investment amount and calculate the returns offered by various products available with the insurer. Premium calculators are extremely effective in providing the premium amount instantly. They save a lot of time and ensures that customers don’t have to wait for quotes from companies. With a diverse range of products in its lineup, Reliance Nippon Life is increasing its customer base throughout the country. The premium calculators it offers for its life insurance products make life easy for the customers and help them gain easy information about various products. Once the premium amount is calculated, customers easily apply for coverage online and purchase the plan from the company.